In this paper, we propose a model for the effect of misalignment of antennas due to mechanical vibrations and experimentally validate its accuracy in a Ka-band (26-40 GHz) transmission link. Our approach provides a valuable tool that is analytically tractable and physically simple to implement. To highlight the applicability of the model, a setup based on a centralized radio access network (C-RAN) transmitting and receiving wireless signals in the Ka-band is implemented. With this tool, the robustness of 5G networks to antenna misalignments can be evaluated in terms of bit-error rate. We show how the presence of misalignment in this type of systems induces an error floor observable in the bit-error-rate performance. A simple static decision threshold is implemented taking into account the amount of displacement and, directly related to that factor, on the expected number of fades per unit time. The closed-form expressions derived through this paper are in perfect agreement with the experimental measurements taken from the implemented system. S. Rodríguez and A. Jurado-Navas have equally contributed to this work. 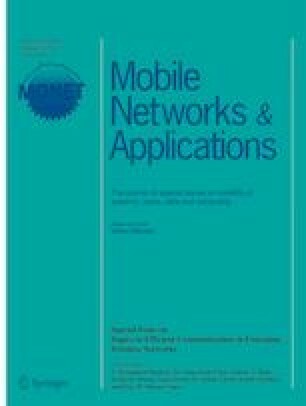 The authors would like to thank the Marie Sklodowska-Curie Innovative Training Network FiWiN5G supported by the European Union’s Horizon 2020 research and innovation programme under grant agreement No. 642355 and the Andalusian Knowledge Agency and the European Union under Marie-Curie COFUND Andalucía Talent Hub program under Grant 291780 for their financial support. For the sake of clarity, we have provided a list with the symbols and notations employed through this paper. It can be consulted in Table 3.